Are she and John Edwards still living together? Elizabeth Edwards appeared in public without her wedding ring, and now people are speculating about what that means. A wedding ring is supposed to symbolize the never ending nature of the commitment to a marriage. What does a ring's absence signify? 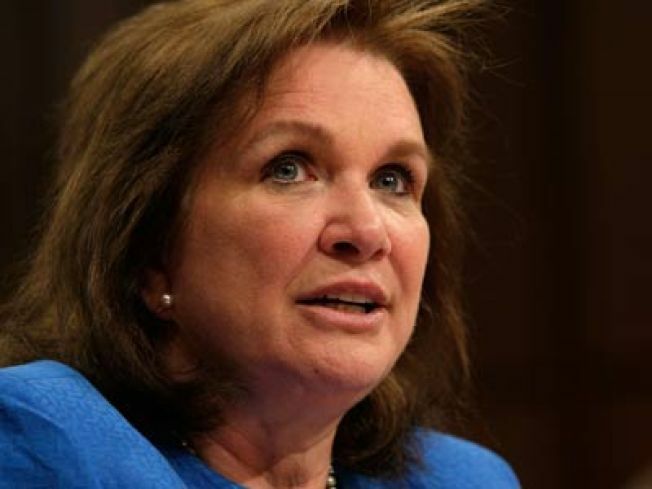 Elizabeth Edwards appeared in Washington, D.C. this week to discuss health care, not her personal life, which gained wide exposure when her husband was outed as a cheater and possible father of an illegitimate child. Edwards' refusal to talk about her marital woes, however, simply left observers to speculate on visual cues, like the absence of a wedding band on her ring finger. That's something The Washington Post noticed when the former presidential candidate's wife appeared at George Washington University. The New York Post picked up this tidbit and ran with it, quoting unnamed sources that whispered that Elizabeth Edwards was separated from her husband and that they were no longer living together. The Post's assertion was then reiterated by Gawker, which wondered if the former senator's claims that the couple had put their marital troubles behind them had any validity. For now though, the absence of a wedding ring on Elizabeth Edwards' ring finger during her appearance seems to be the only hard fact anyone really knows for certain. Both Edwards and his wife have pretty much dropped out of public view since the scandal broke. After being ambushed by a tabloid while visiting his alleged love child and mistress, Edwards denied repeatedly anything illicit had been going on between him and videographer Rielle Hunter. Three months ago, the facade cracked and he admitted to cheating on his cancer-stricken wife, but still denied paternity. In his apology, John Edwards said "I was and am ashamed of my conduct and choices, and I had hoped that it would never become public." He blamed his campaigns for higher office for a making him "increasingly egocentric and narcissistic," which led to selfish behavior.